The summer is upon us again, but since times are hard you may be planning to take a driving holiday around Europe instead of forking out for pricey air fares. Be careful though; legislation in most European countries means that the simple act of making a phone call at the wheel could land you with a fine of up to €600 and points on your license – a quick and easy way to completely ruin that holiday feeling! Avoid this hassle with a Jabra Bluetooth wireless headset, so you can safely and legally take calls at the wheel, wherever you may be. Luckily, TechRadar has teamed up with Jabra to give you the chance to win one of five Jabra JX20 Pura headsets worth £100 each. 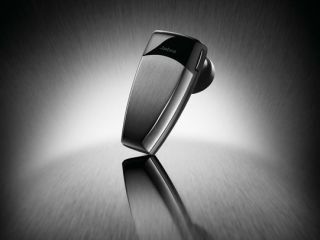 The Jabra JX20 is designed by Jacob Jensen and adds a touch of class to the traditional Bluetooth headset thanks to its sleek, anodised titanium shell. With sound quality that is second-to-none, the JX20 employs Digital Sound Processing technology to replicate a face-to-face conversation. The intelligent volume control automatically adjusts to ensure that the volume is always comfortable, no matter how loudly or softly the person on the other end is speaking. If you don't fancy wearing it in your ear all day long, the JX20 even comes with a necklace option so you can give your ear a break and receive phone calls safely at the wheel. As if that wasn't enough, it also comes with a brilliant charging stand for when you're back home - with little white LEDs that light up to indicate charge levels. This competition has now closed. The winners are Bryan Andrews, Chris McGreal, Paul Marshal, Lisa Akrivos and Malcolm Dunn.